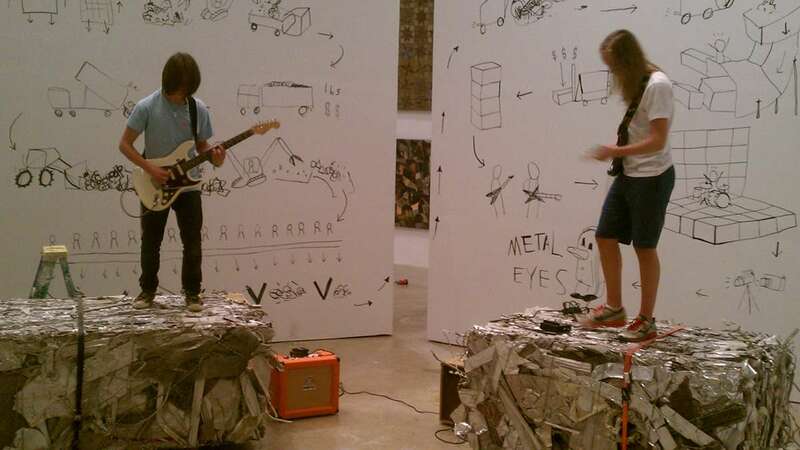 At a current intallation at the Institute of Contemporary Art in Philadelphia, two guys will be standing on these bales of shredded metal, shredding metal. In one of the galleries of the Institute of Contemporary Art in Philadelphia are two bales of scrap metal. They come from Revolution Recovery, a recycling plant in Tacony that pulls metal out of the waste stream and compresses it into blocks measuring roughly 3 feet by 3 feet by 4 feet, about twice the size of a bale of hay. 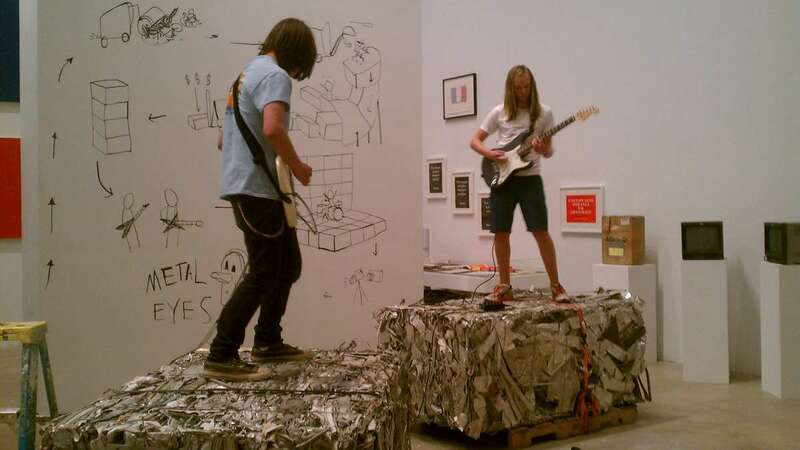 On Wednesday evening, two guys will be standing on these bales of shredded metal, shredding metal. In February, Carroll was invited by local artist Billy Dufala (through his project RAIR, Recycled Artist in Residency) to be the artist-in-residence at Revolution Recovery, scanning the waste stream for objects that could be repurposed as art materials. She became interested in how the plant operates. Recovering about 85 percent of material, Revolution gathers huge amounts of debris, sorts it into categories, and compresses the fragments into blocks ready for the scrap market. It is how it makes money. “It’s very fast,” said Carroll by telephone from her Manhattan studio. 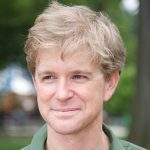 “If something is identified as valuable, it would be pulled; otherwise it goes into the waste stream. To see the point of complete chaos — it can be overwhelming. Carroll wanted to mimic that process of scrap-metal recovery by using the bales of shredded metal as building blocks. A few dozen were assembled into a stage, on top of which instrumentalists of all stripes were invited to shred. This happened for 12 hours on April 6. Waste music — a genre largely coined by Carroll — comprises phrases, riffs, and gestures of previously existing music, recontextualized into something new. Carroll points to the work of Laurie Schwartz in Berlin, John Zorn in New York, and the drone-metal music of Matthew Bower as examples of waste music. 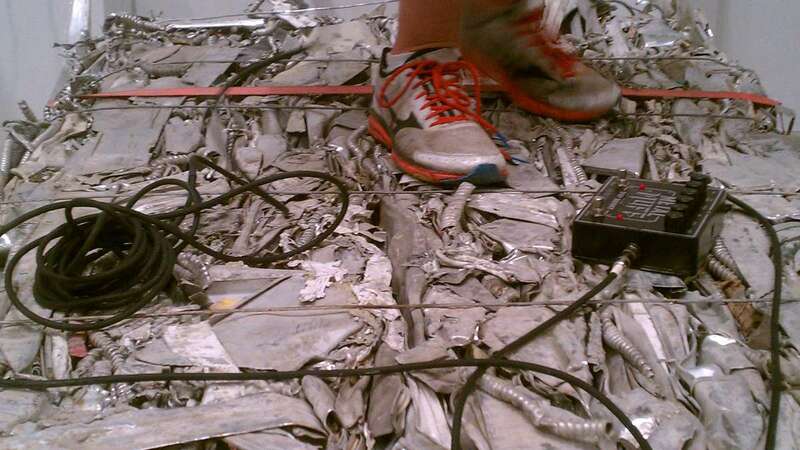 Conceptually, Carroll relates the music to the materials flowing through the waste-recovery process. 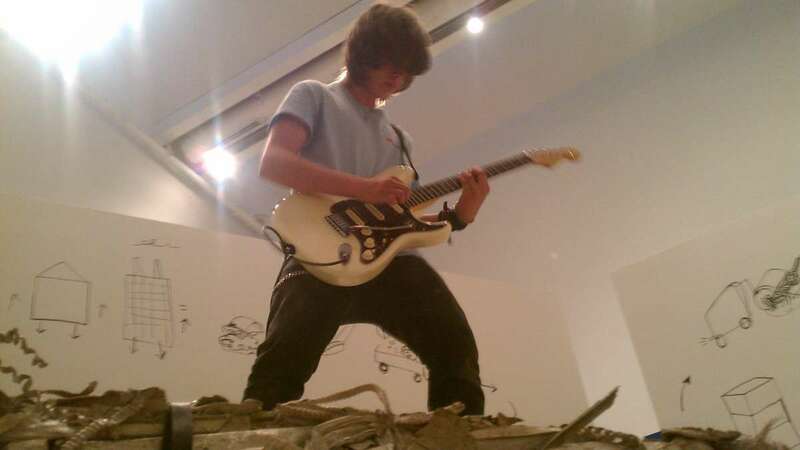 After the performance by Metal Eyes, the bales of shredded metal will remain in the galleries of the Institute of Contemporary Art for about a month. Then will go back to Revolution Recovery to be sold as scrap. 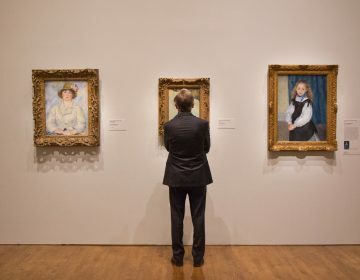 Depending on market fluctuations, they are worth something shy of $1,000.